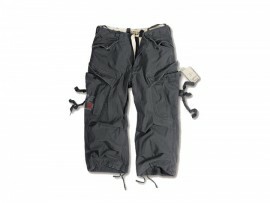 Fashionable 3/4-shorts in military look: The high wearing comfort and the numerous applications make it a real sight. Washed colours, used-look and a casual cut are main elements of these summer pants. Feel free to ask us for the sizes!